This page about Autscape 2009 is of historical interest only. Go to the home page for current information. Take the 119 towards The Colonnades Croydon Airport, the 138 towards Bromley, the 314 towards New Addington, or the 353 towards Addington Village Tramlink. 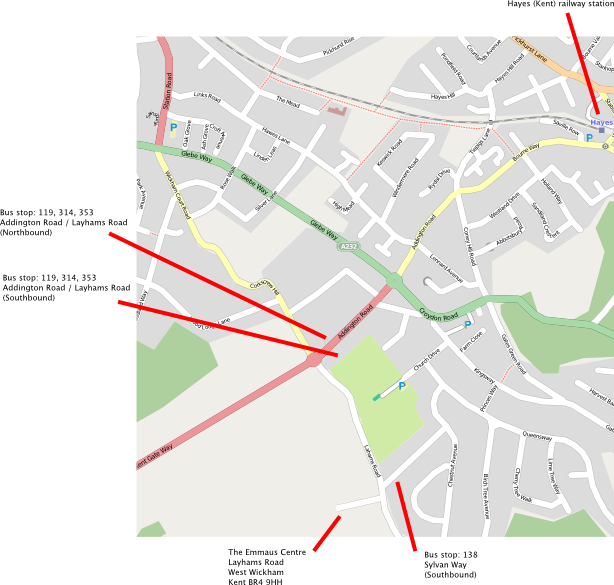 All busses except the 138 stop on Addington Road just before Layhams Road. Walk to the roundabout and turn left into Layhams Road. The venue is on the right hand side after about 5–10 minutes' walk. 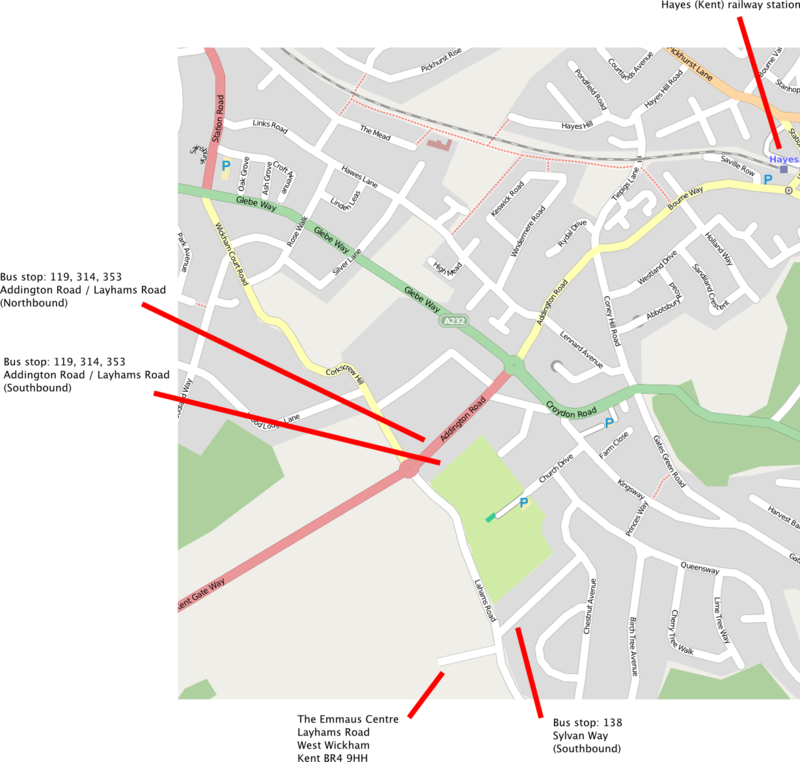 The 138 stops on Sylvan Way, the road which is opposite the venue driveway (not labelled in OpenStreetMap).